LAKE BUENA VISTA, Fl. 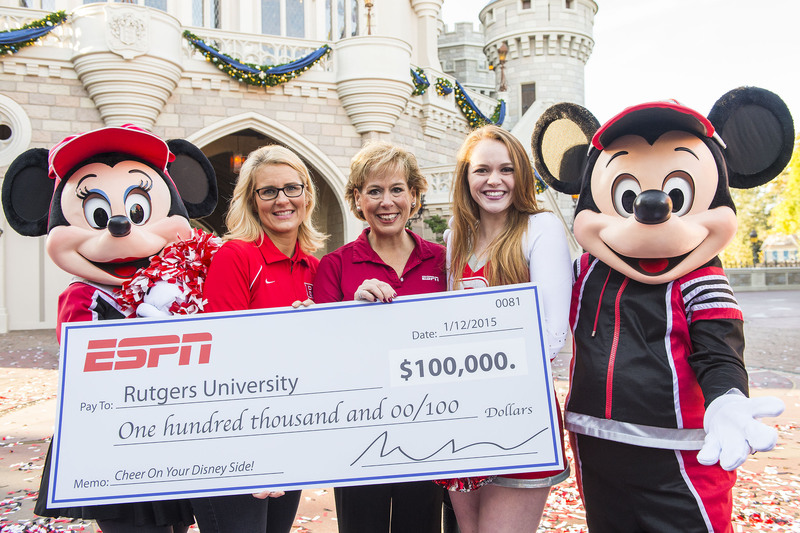 (Jan. 12, 2015) – Rutgers University’s dance team was voted the top squad in the “Cheer On Your Disney Side’’ nationwide competition sponsored by ESPN. The Scarlet Knights’ winning routine involved dance team members dressed as various Disney princesses in a lively cheer sequence set to the beloved Disney song “It’s a Small World.’’ The routine won over the nationwide voters, edging out the other finalists – Santa Monica College, Auburn and LSU. 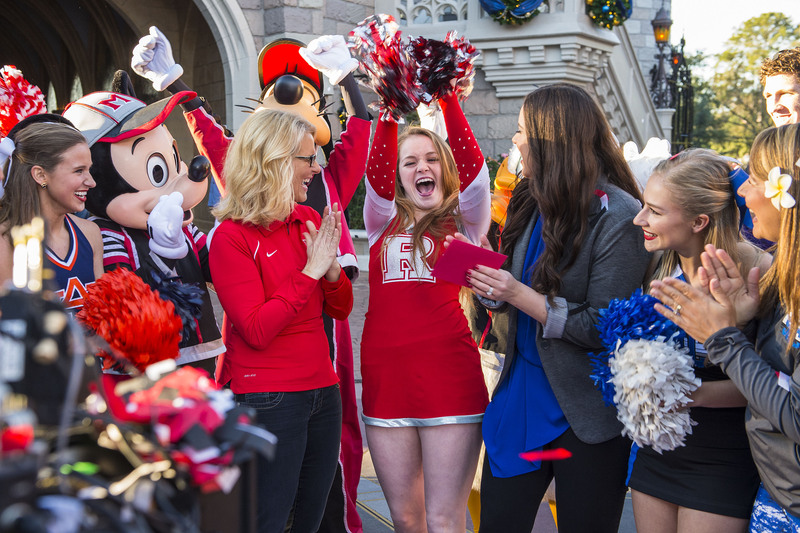 The competition, supported by Disney Destinations and Varsity Spirit, ran from early September to early January with collegiate cheer and dance squads across the country vying for a $100,000 grant from ESPN and a trip to Walt Disney World Resort near Orlando. After an extensive judging process, four finalists were announced in November, kicking off the nationwide voting phase during which more than 30,000 votes were cast. Rutgers was announced as the winner today on ESPN during the network’s pre-game coverage of the College Football Playoff National Championship. But Rutgers wasn’t the only winner. Fans who voted were entered into an ESPN sweepstakes with one winner receiving a Walt Disney World vacation. Contest rules and video of Rutgers’ winning cheer routine can be found at https://www.youtube.com/watch?v=fH_zfOyEke4. The competition was part of Disney Parks’ recent efforts to encourage people to show their “Disney Side’’– their fun-loving adventurous side that laughs more, says “yes” more and just plain lives life to the fullest.